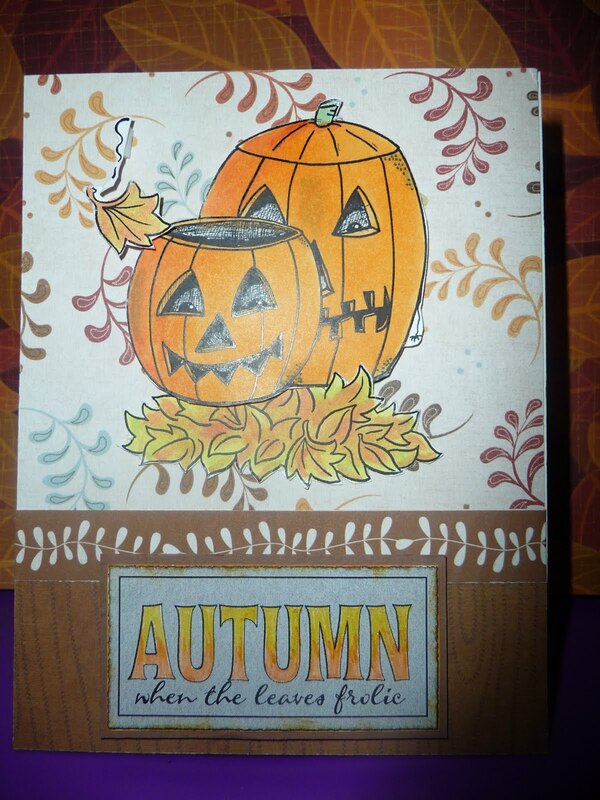 This is a card I did for Spyder's October challenge, you can use any of her digital images. Everyone who enters will receive a thank you digital image and the winner gets to chose any digi from her store, plus she'll draw something for you. Hurry over, you have until midnight, October 31, 2010. Oh wow look at those pumpkins!! They're fabulous! Thank you so much for joining in with my Digi October Challenge! !